THE FORGOTTEN - Biographical Information The Forgotten, from the Bay Area of California, was formed in February of 1997. The current line up is: D. Kash (drums), Johnny (bass), Craig (guitar) and Gordy (vocals). The band's initial goal was to bring back a forgotten style of music with a new twist and have fun doing it. Four songs/one month into the band's career, The Forgotten was signed by TKO Records out of San Francisco. With the success of "Class Separation", the band's first 7" on TKO, The Forgotten was commissioned to produce a full length album for TKO. With good friend and fellow musician, Lars Frederiksen back in the producer's seat, The Forgotten created their first lp, "Veni Vidi Vici", over the span of three days. Shortly after the release of "Veni...", The Forgotten embarked on their first U.S. tour with legendary Brighton, UK punks, Peter and the Test Tube Babies. By the time the year 2000 hit The Forgotten had recorded for various compilations and was quickly making a name for themselves. The band had toured the US a second time and had also toured Europe. 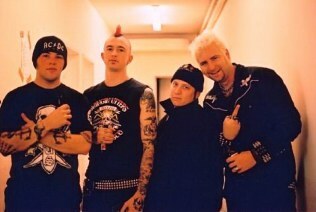 The Forgotten was graced by being given the chance to play and/or tour with several of their idols including The Business, Agnostic Front, Fear, Dropkick Murphys, Cocksparrer and The US Bombs. And to correctly round out the year the band recorded it's second lp for TKO entitled, "Keep the Corpses Quiet" late 2000. In early 2001 The Forgotten made the conscious decision to push the European market. Working hand in hand with Make a Difference Booking (MAD) The Forgotten returned to Europe for the Unity Tour with Agnostic Front and Ignite, as well as headline their own two month tour. During this push The Forgotten gained the interest of street-punk record label, Knockout Records. The ep "...Ask No Questions", on Knockout Records, was released in Europe only, in the summer of 2001. Currently, the band has signed a deal with Better Youth Organization Records (BYO) and is set to release their new full length record on July 9th of 2002. 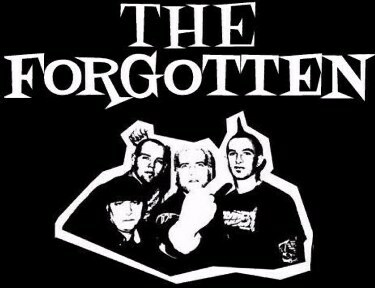 The Forgotten is excited to join BYO's roster of bands like Youth Brigade, The Unseen, Rancid, Leatherface, Pistol Grip, NOFX, and Filthy Thieving Bastards, on this year of BYO's 20th anniversary. Look for The Forgotten on tour this summer in the U.S. and Europe!! !